Growing up in a small, North Carolina town, the creative minded Kelly Kirby felt she never quite fit in the small town mold. After studying at Meredith College in Raleigh, Kirby visited Atlanta and immediately fell in love with the big city and has resided in Metro Atlanta since 1988. With her effusive and passionate nature, Kirby always gravitated toward positions where she could express herself creatively. 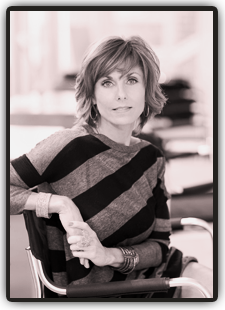 In addition to creating and designing a new concept day spa in 2007, Kelly has held leadership sales and marketing roles with cosmetic companies located in the US as well as Italy. In January 2012, Kelly chose to leave the corporate side of the business and pursue her dream helping other women feel more beautiful and confident at later stages in life. From a young age, Kelly was fascinated with color cosmetics and without her mother's knowledge, would take peanut butter and jelly sandwiches to school so that she could purchase the latest beauty finds from the local department store with her unspent lunch money.